It's All In Your Head: New Year...New Me! Over the years, I've journeyed long and hard trying to find myself. Little did I know that I wasn't lost at all. Instead of spending precious time looking, I should have spent time creating myself. One thing I'm certain of...it's never too late to start. 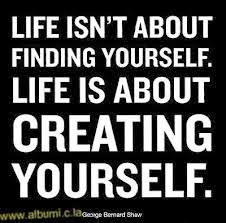 Make 2014 A New Year to create A New You.